Eating fries with a fork is a dangerous game. 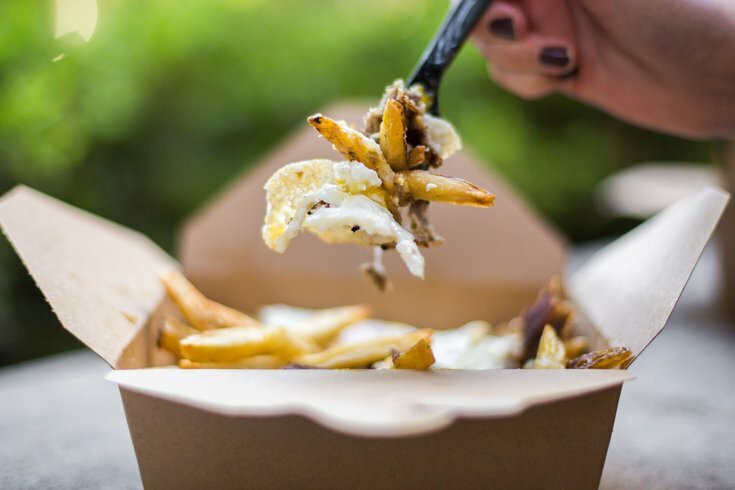 Back on Oct. 20, 2016, Shoo Fry officially opened its doors in Rittenhouse, bringing poutine – and sliders and milkshakes – to Philly. To celebrate one year in business, Shoo Fry will offer an anniversary deal on Friday, Oct. 20, at the 17th Street location (there's also a Shoo Fry in Fishtown). From 11 a.m. to the early-morning hour of 3 a.m, both mini classic poutine and original sliders will be $1 each. The deal is available in-store only.